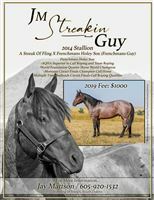 Owned by Jay and Melinda Mattson of Sturgis, SD. 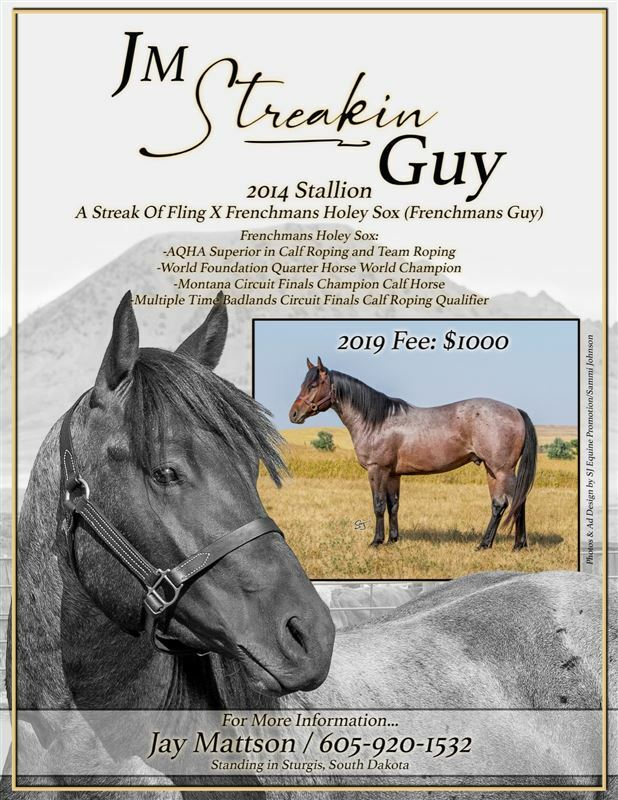 Not only is this beautiful horse sired by one of the Greatest Performance Horse Sires in the business today-A STREAK OF FLING, his dam is FRENCHMANS GUY's winningest rope horse! This horse is built to perform and will be shown in the roping events by Jay Mattson. 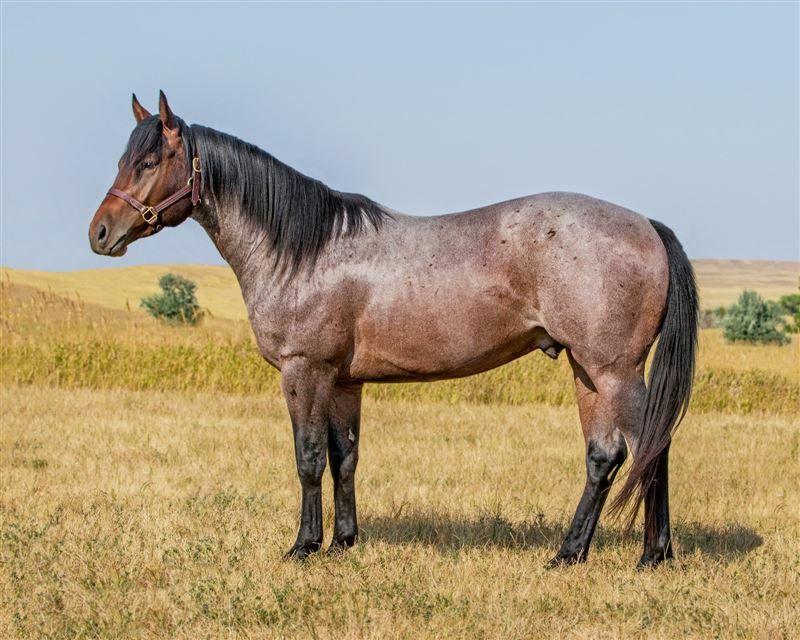 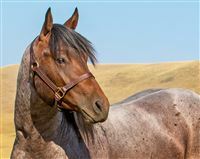 A VERY VERSATILE STALLION that crosses well on just about any type of mare.